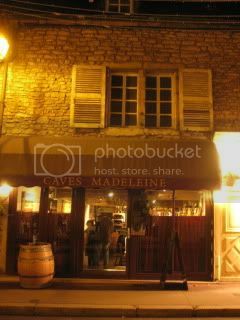 Our 3rd night dinner in Beaune was at Caves Madeleine (8, rue fbg Madeleine, 21200 Beaune). This is a cozy bistro with incredible wine list (with no written list). I was there last year and loved the experience so much. So, I was excited to be back there. 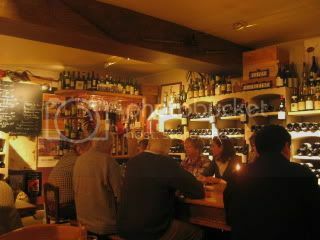 This restaurant is so tiny and so popular among wine lovers, so advance reservation is necessary. As soon as we entered there, we started checking out all the wines in the shelves and boxes...either that (for young bottles) or asking the owner (Lolo) is how you decide the wine to order. 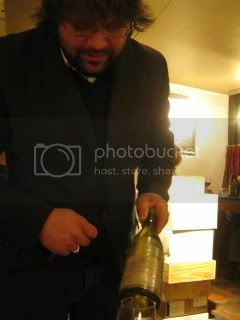 We wanted to taste some nice old gems, so we asked Lolo what he would recommend for mid 90's white. 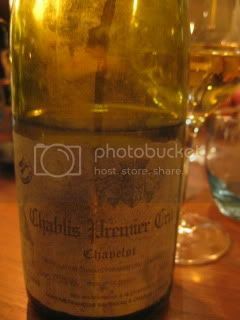 We decided on 1995 Domaine Francois Raveneau, Chablis 1er Cru, "Chapelot". 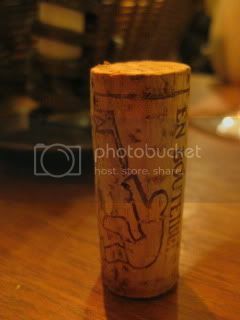 The wine had the classic minerality of Chablis, with young acidity. The wine was so balanced and elegant. 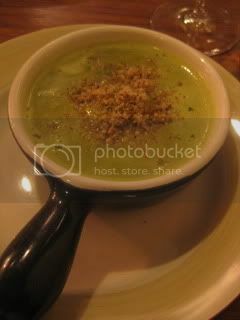 We enjoyed rustic and tasty dishes. I started with Cassolette d'Escargots de Bourgogne. 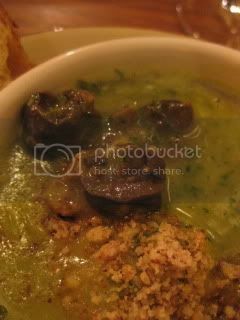 There were chunks of escargots in very rich cream-butter-parsley sauce. It paired so well with the Chablis GC. 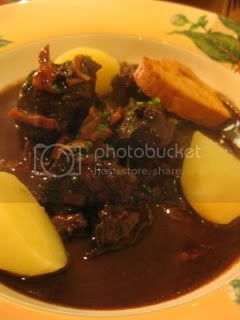 For main course, I had Joue de Boeuf a la Bourguignonne, which is another Burgundian dish. 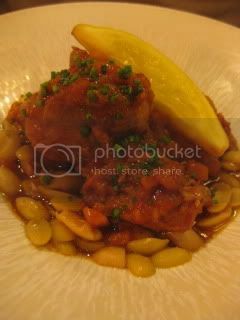 Beef cheeks were marinated in red wine for 2-3 days and made into a stew. The beef was really succulent and the sauce was rich with complex flavors. 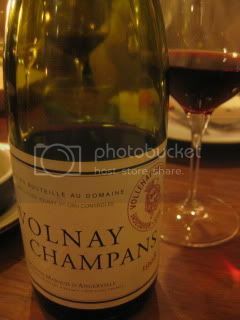 I enjoyed the wine with 1998 Domaine Marquis d'Angerville, Volnay. Wow, we tasted some serious stuff this evening! Steve's "lamb sautee" was very nice, too, and it was more like a stew than saute. 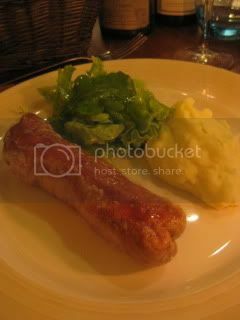 Lloyed ordered this classic Andouillette AAAAA de Chez D. Thierry. 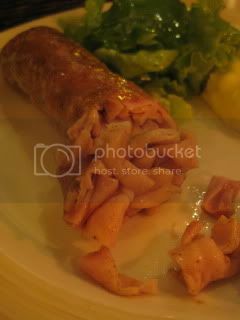 "Andouillette" is a classic sausage of pork tripe. And this particular kind comes from the special farm. The dish looked so pretty. Once you slice into it, the inside opens up like confetti. And, the smell was REALLY POWERFUL!! I had never smelled anything like this before. I tasted it for my experience, but the smell and flavor was quite challenging to acquire. Wow, that was unique. I was glad I could tried it, though. 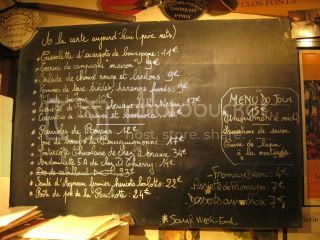 It was another yummy night in Beaune.